IT probably won't last but there's a title race in the Bundesliga for now with Borussia Dortmund leading the way. Perennial champs Bayern Munich sit a point behind and Dortmund can keep up their early-season momentum at home to an eighth-placed Augsburg side in decent form. Dortmund have won three on the spin in all competitions and have nine points from nine at home in the league so far, rattling 14 goals in the process. 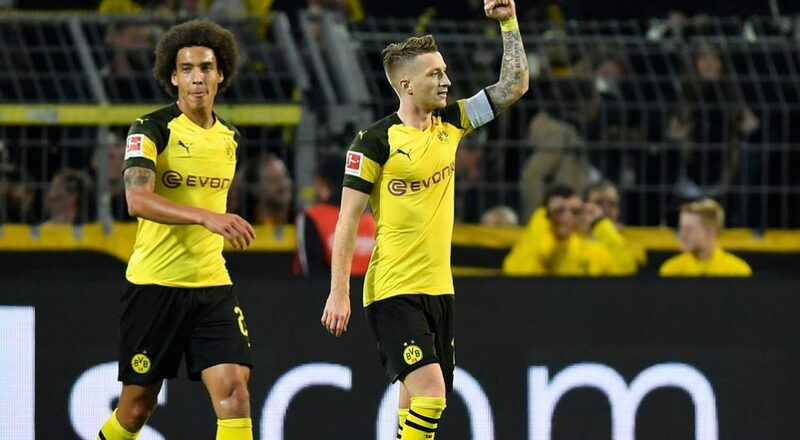 Augsburg ended a four-game winless run with a 4-1 home thumping of Freiburg last weekend but Dortmund's attacking power should settle this one and the hosts are 4-6 at Ladbrokes to win with at least a couple of match goals. It's the same bookie, price and bet for Juventus at Udinese in Serie A. The visitors, with Cristiano Ronaldo back after he sat out midweek Champions League action with a ban, can maintain their perfect start to the season against a Udinese side who've suffered back-to-back defeats and won only two of seven. Another side with maximum points are Dutch champs PSV ahead of the visit of Venlo. PSV have netted 13 in three home games, won them all by at least a couple of goals and can cover the -1 handicap again at 8-15 with bet365. Well done Scott. Top tipping Sir!